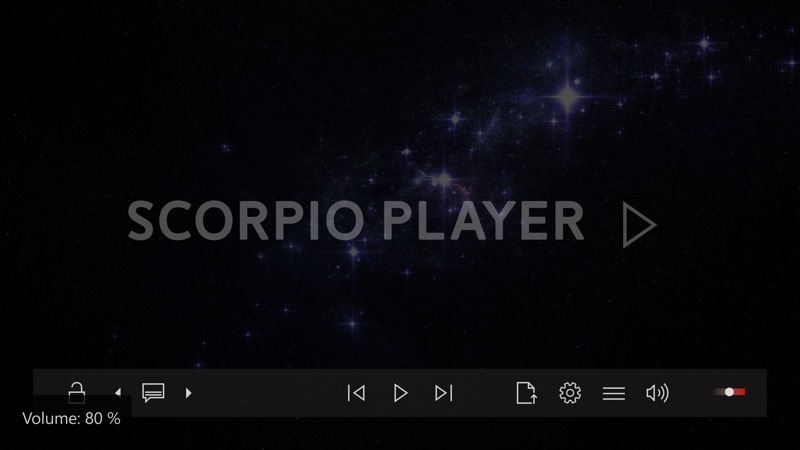 Taking its name from an XBox model's code name, of course, Scorpio Player is a new media player UWP for all Windows 10 hardware. From the XBox itself to Windows 10 laptops and hybrids to - yes - Windows phones. And, this being AAWP, I'm looking at it mainly on the phone. Summary? Immensely powerful and promising, but quite unstable at the moment, despite numerous updates. 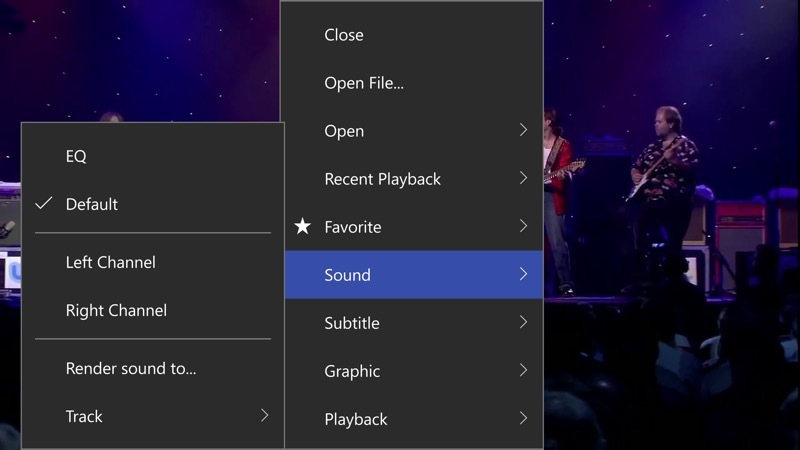 From a phone perspective, and with both Microsoft's built-in 'Groove Music' and 'Films & TV' being very capable and mature, you might wonder why an extra media player is needed. Why indeed, although Scorpio Player does have some extra decoding and playback tricks up its sleeve. 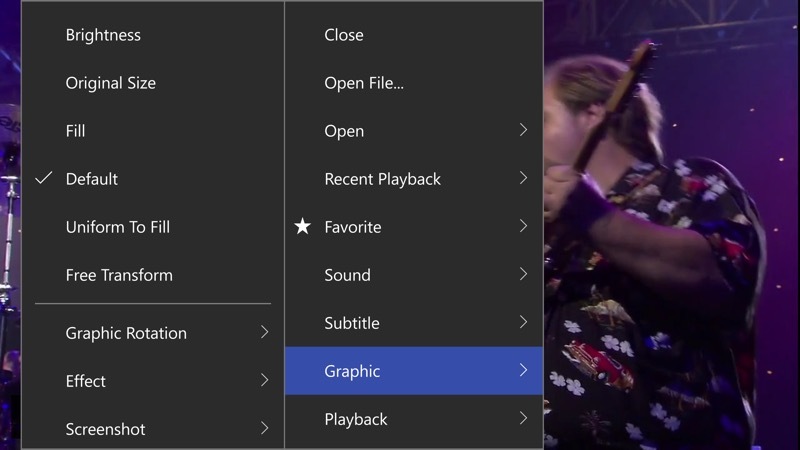 On other form factors though, the idea of a single UWP application that can handle anything thrown at it is attractive - in fact, this is exactly what VLC (also UWP) does, though the latter suffers from exactly the kind of playback logic instabilities that are seen here, so I'm guessing we're just looking at the inadvisability of trying to insert third party players into the back end of a complex OS like Windows. 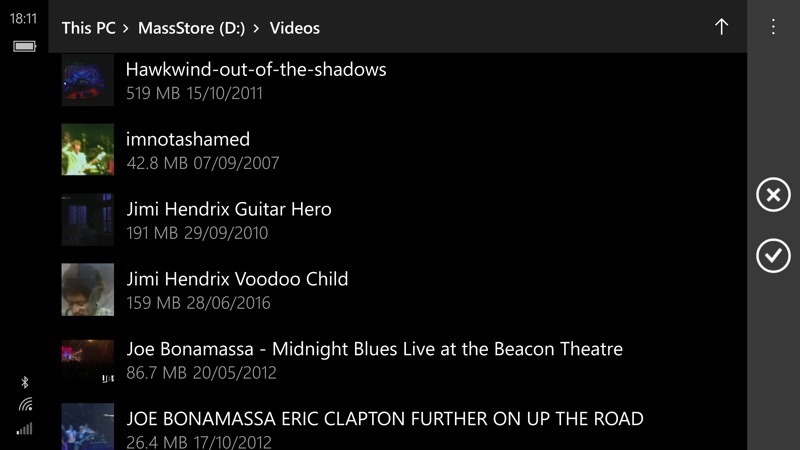 Build the best local player for Windows 10. not just UWP, but also the ultimate detail optimization for each platform. Universal format support. 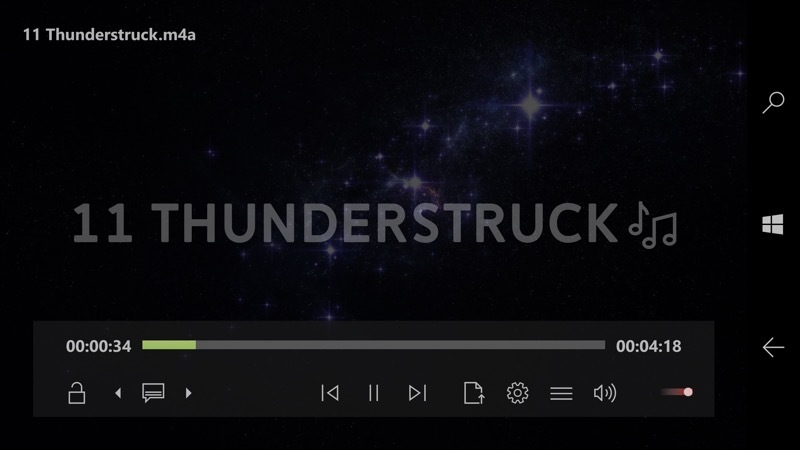 Video playback, subtitles customize display, music background play, keyboard mouse optimization operation, take care all of it, Single Window interaction mode, Multiple Window Instance, convenient comparable to traditional desktop applications. The UI design style is worthy of modern UWP applications. Integrated management of the Media Library.No mater how many video on the device can be manage with ease. subtitle download, load, subtitle styling, transparent, color, font size, subtitle delay, all customize, all format encode auto detect and display correctly. Voice: Left and right channel selection switch, track switch selection. Decoder: Decoding the soft solution of the hard solution system decoding, saving power or kill Ren June choice. 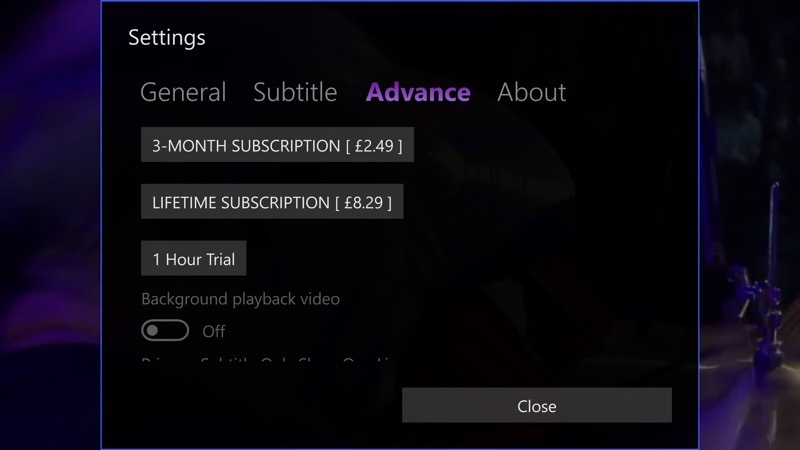 Advanced Features: Display subtitles time, adjust the caption delay time is no longer confused force. Use this to pick a folder and all the media in the folder is listed for putting in a playlist. Tap the tick control to accept. 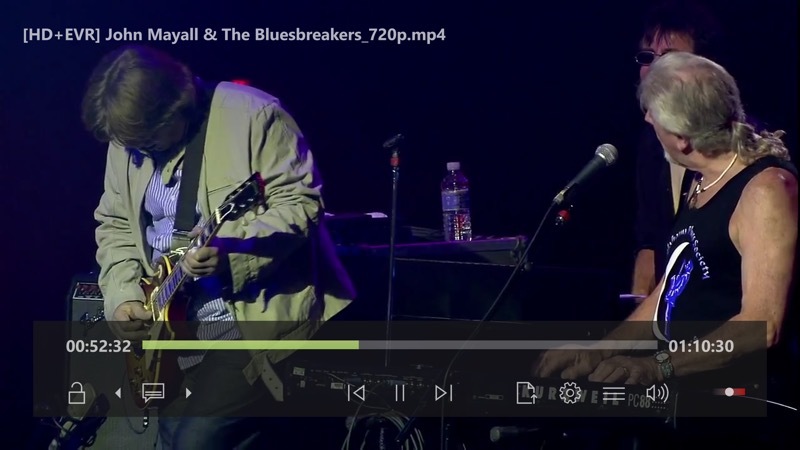 Playback in progress, the controls are responsive and it's easy to 'scrub' along to the part in a video that you wanted to see. Note the volume control, bottom right, though can also use the phone's hardware buttons, of course. Skipping between videos in my folder playlist - your playback position in each video is independently remembered, thankfully. 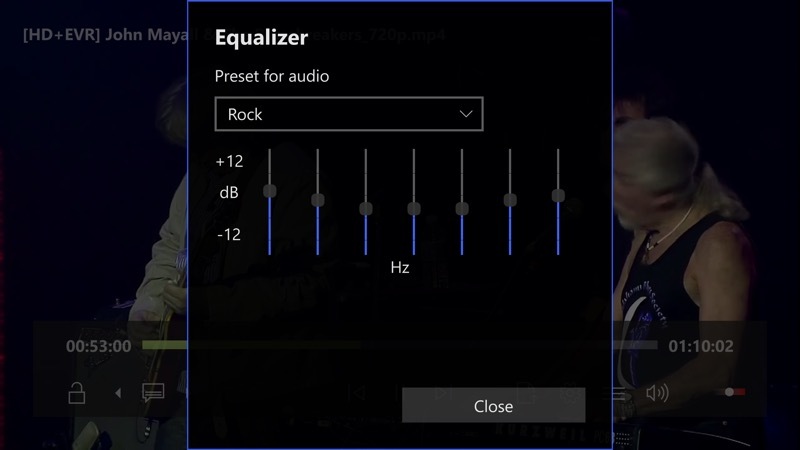 Tapping through the Settings icon in the UI, a vast hierarchy of functions is unleashed, including a full equaliser, which sits on top of the system's own EQ, if present (e.g. 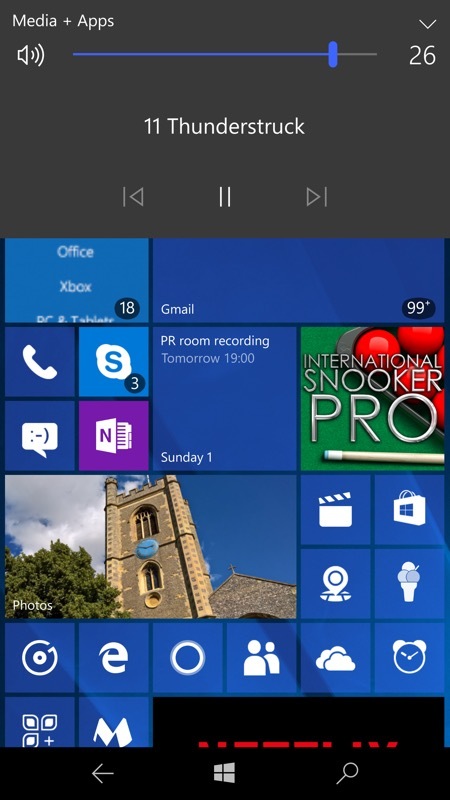 on Lumias). Don't try using both EQ at the same time though, as you then risk very distorted and processed sound! This should be very handy on the likes of the Elite x3 and IDOL 4 Pro though, which lack a system EQ. There are comprehensive frame rendering and 'fit' options - something for every video need - scaling up and stretching some of my old low-res 4:3 videos proved handy. There are a number of advanced features, not least background playback and video luminance improvement (i.e. making dark videos brighter), which are tucked underneath an in-app-purchase. With both one-time and 'quarterly' payment options, quirkily. But the developer is working hard to be worth it all, trust me. One example of the power of Scorpio Player is that you can switch between system (i.e. GPU-based) decoding of video and audio to software rendering, easily possible with today's fast processors. 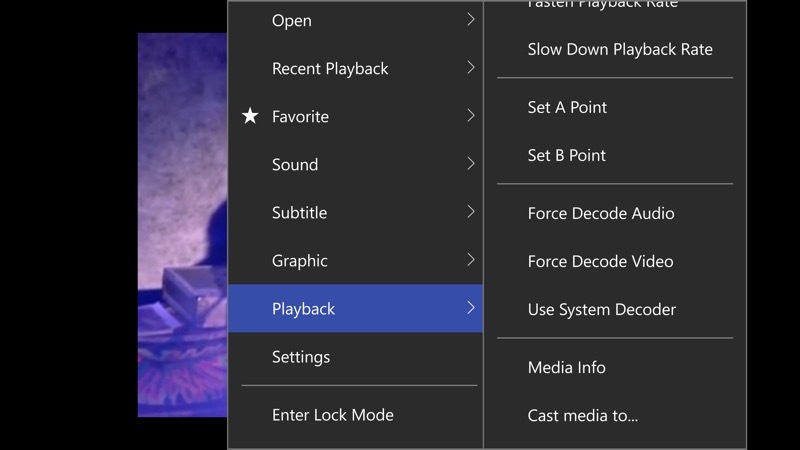 In practice, this means that videos with odd encoding not supported by the phone's chipset can still be played, albeit through this UI 'Playback' set of options. The 'UI' bar can be dragged around, should you prefer it on the top - depending on device, I suspect. And, of course, it disappears a few seconds into playback, so as not to get in the way. A tap brings it back. Audio (i.e. music) is also handled, though not with any great music-centric UI. 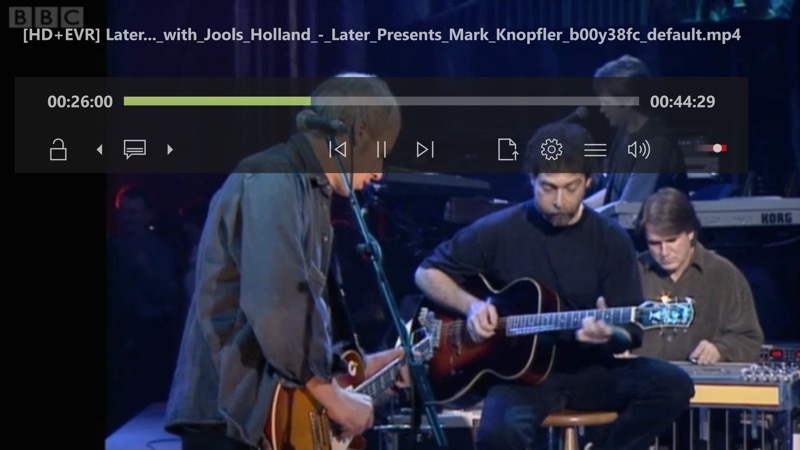 Still, once playing, you see and hear music just as from any other music player on the platform, including the system media player pop-up, shown on the right here. 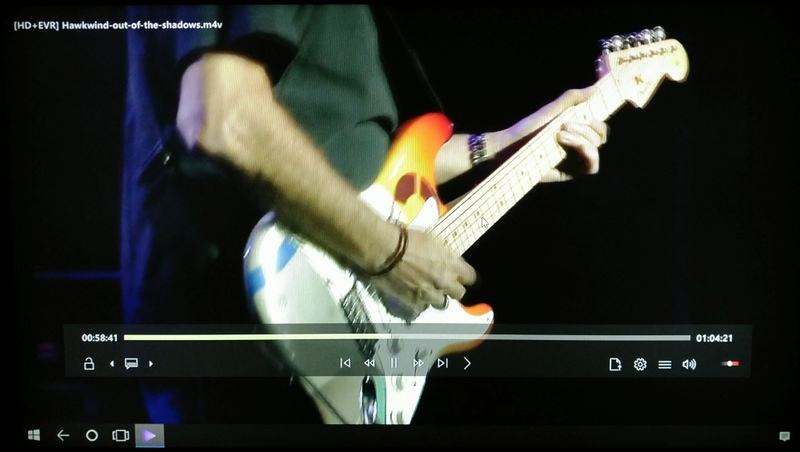 Scorpio Player UWP on a Continuum display from my Lumia 950 XL, playing videos beautifully. 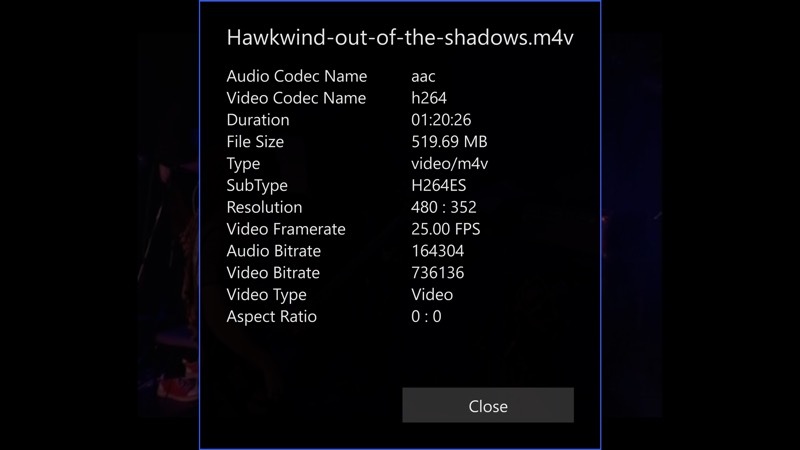 What can't be shown in screenshots is the instability of Scorpio Player - numerous times in testing the audio for one video kept playing while the next's picture was frozen. Or, as shown above, one video played while the title of the previous one was shown top left. And sometimes the UI/control bar wouldn't appear at all, requiring me to close Scorpio Player from the multitasking carousel and then start it again. 10/10 for effort by the developer, not least the several updates a week over the last month - this is still being very actively developed, so I'm hopeful that the instabilities will decrease as the year goes on. There's little use case for Scorpio Player on the phone, to be honest, at least for casual users, but if you're big on the Microsoft ecosystem (laptop/Surface/XBox, etc.) then this might just be the all-singing, all-dancing player that is your go-to on all devices.